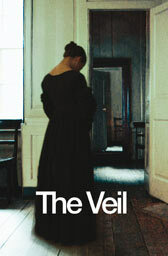 Conor McPherson’s The Veil is his first original play for 5 years and set in 1822, marks his first foray into period writing although as it is set in a haunted country house in rural Ireland, he isn’t venturing too far from familiar territory. Rae Smith’s one room set, although it is a lavish recreation of the faded grandeur of a crumbling country pile, has great attention to detail with a great staircase going off the left and up to the gods and a large tree out the back of the conservatory and in it, we see the trials of the Lambroke family. Lady Madeleine’s estate is heavily indebted after the death of her husband and an impending economic crisis and so her 17 year old daughter Hannah is being married off to an English marquis. Hannah is a troubled young woman though, who hears voices and when her chaperone Berkeley proposes a séance before heading back to England with his philosopher friend Audelle, the personal demons and family secrets thus revealed threaten devastating effects. I was someone else’s plus one for the evening for once and wasn’t actually aware it was the first preview until we arrived at the National in good company (though I did know it was early in the run) and so all the usual caveats apply. And they will apply because I didn’t like it all, though as ever, people rarely seem to have complaints when it is a positive review about a preview… McPherson directs his own play in the Lyttelton and I tend to be a little wary when I hear that playwrights are directing their own work, especially with new plays, as I always innately feel that they would benefit from external influences. Whether that is true or not I don’t know, but what I do know is that The Veil was painfully sluggish and not because of the mechanics of working through a first performance but mainly because of the writing and its construction. There seems to be a deliberate attempt to adopt a Chekhovian approach to the play but with little success: the heavy foreshadowing feels laboured, the circles of unreciprocated love are tired and over-familiar. And elsewhere, there was a world of issues I found problematic: the fact that I didn’t care about any of these people or their dilemmas; for a ghost story, it really isn’t scary/spooky/chilling; a fatal lack of empathy around one particular character which completely undermines a key event; the final scene contains an act of behaviour that is completely unearned and totally out of keeping with how the relevant character has been for the rest of the play; there’s some boringly predictable sad Irish singing, and by the crin there is just so much exposition. So much that it really does weigh down the play, dulling the effects of McPherson’s story telling (as opposed to his play writing) and sapping it of any vibrancy. Layered on top of that were references to German philosophy which flew right over my uneducated head and hints of the uneasy relationship between the (English) landowners and (Irish) tenants who lived in poverty on the Lambroke estate – points of interest all, but so densely packed-in that the themes and ideas do not swirl but rather stagnate. The cast are hard-working but when one is so disengaged from the writing, there’s little that can be done even by the best of actors. I did enjoy Fenella Woolgar’s Lady Madeleine, a fan of Belgian sausage, Bríd Brennan’s busying housekeeper Mrs Goulding and the sometimes gormless but sweet maid Clare, the lovely-voiced Caoilfhionn Dunne. Emily Taaffe gives it a good go as the haunted Hannah and Jim Norton makes for a bumptious Berkeley, the defrocked reverend who just won’t leave alone. Peter McDonald is also good (and attractively attired in some lovely riding boots) but is lumbered with having to do ‘drunk’ acting, that said his slopping around of Mrs Goulding’s hot rum punch was most effective – front row people watch out! But all told, The Veil proved to be extremely hard work and for seemingly rather little reward. Matters were summed up with a final image that rather baffled with its focus and attempts to further intrigue with its air of added final mystery. The problem was as we approached the third hour, I couldn’t have cared less about anything more that happened in that house. Perhaps others will like it and see something here that completely passed me by, I can’t help but feel that this is a play that is just not ready to be put on the stage and that the literary department at the NT needs to be much more rigorous. Excellent review. I agree with everything you say about this sorry excuse for a play. And your observations about its pathetic Checkovian pretenses are spot on. The play was also horribly anachronistic. The conflict between rationality and spiritualism, the concerns of the characters, and their relationships were so much more characteristic of the late nineteenth century than the Regency Period. Another thing that pissed me off was the reference to Ontario, Canada, which simply didn't exist in 1822. It was called Upper Canada at the time. The fact that no one– not the author or the geniuses at the NT who decided it would be a good idea to stage this calamity — could be bothered to google that, demonstrates just what a slap dash, and careless fiasco they produced. 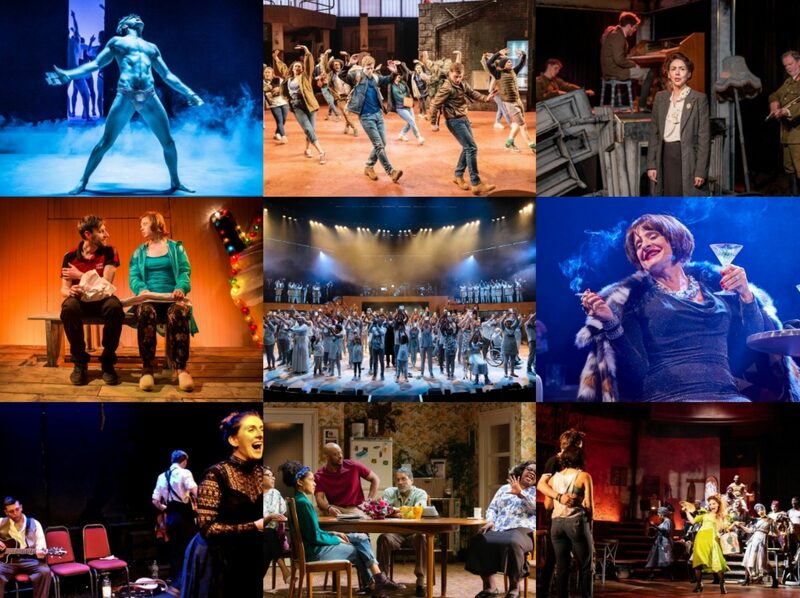 Shame on the National Theatre. So, you are laying your critique on the basis that Ontario didn't exist as an entity in 1822? Though you are factually correct, I think that, to the majority of the audience, Ontario would mean more to them that the mention of "Upper Canada"!